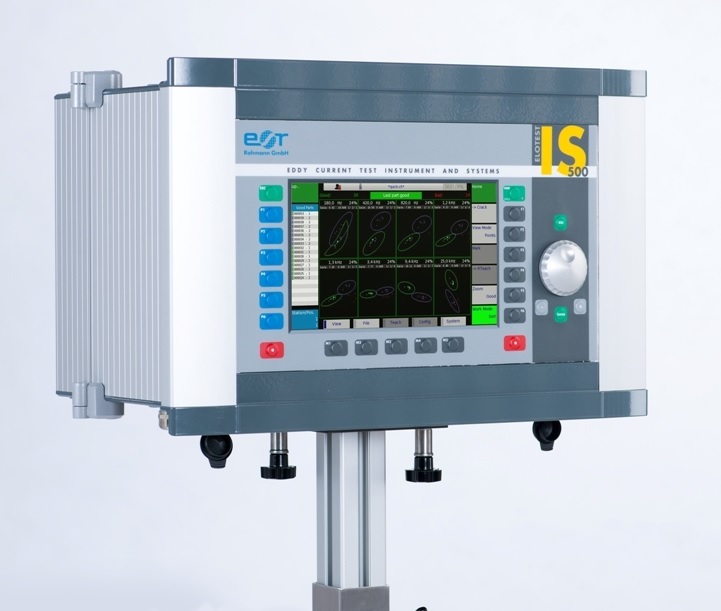 For crack detection and/or multi-frequency material testing directly in the production line. multiplexing capability of 32 kHz multiplex rate (probe to probe). Up to 8 probes per channel can be connected via an external multiplexer. A maximum of 2 test channels can be used for crack detection and/or structural testing. The sharpness and brilliance of the display are compelling. This is achieved digitally: The display of an analogue tube display with adjustable.